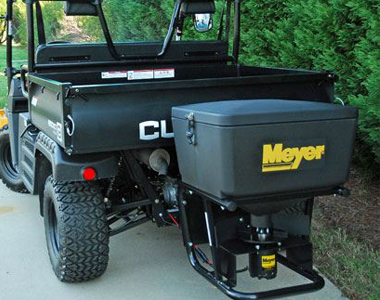 Need a spreader for your driveway or small road? 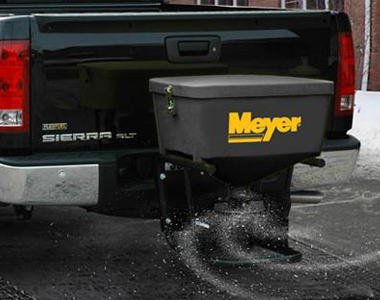 This Meyer Baseline 240 Salt Spreader can be easily mounted to a small truck, SUV, or utility vehicle with a 2 inch receiver hitch. 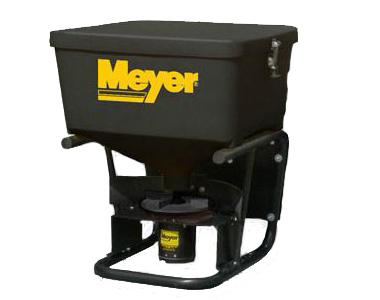 Fill up time is reduced by the large hopper capacity of 240 lbs. of material in the 3.7 cu. ft. Cover large areas quickly, or concentrate on a heavily iced area with the 3-25 ft. spread width. 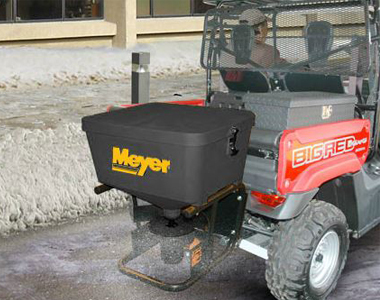 And get all the power you need with the direct drive 12V electric motor that offers 1/8 HP. Hopper Capacity: Carry up to 240 lbs. of material in the 3.7 cu. ft. hopper for less fill up times. Stated. looking back , should have purchased a larger hopper. We will purchase from you again. 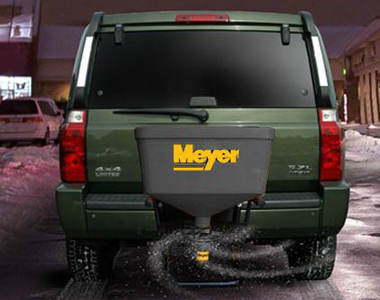 Ask us about the Meyer Base Line 240 Tailgate Salt Spreader . Please no repair questions. Your Q&A may be posted to SnowblowersAtJacks.com to help other shoppers, like you, with their purchasing decisions. Thank you. Add options now for your Meyer Base Line 240 at a 1 time discounted price. When you are ready to check out, just click the ADD TO CART button.